A pair of urbanites embark on a 4000-mile bicycle ride in search of the last wild place in America; to their dismay they find it. 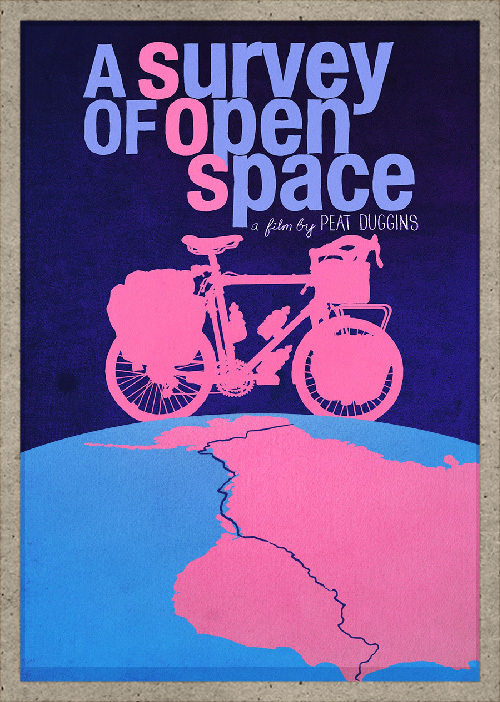 ​Set in the wake of America’s great western expansion, A Survey of Open Space is both a portrait of bike touring and a meditation on wilderness. The film follows a pair of urbanites as they embark on a 4000-mile bicycle ride in search of the last wild place in America; to their dismay they find it. The epic journey begins on the Mexican border and spans the continent, touching three oceans before concluding in the Arctic. Along with breathtaking scenery, the camera also captures the riders changing attitudes towards and definitions of wilderness, highlighting the conflict between the ideal of the wild, and the actualities of disappearing wilderness at the beginning of the 21st century.The film asks the viewer to consider whether there still is a wild, and is it worth anything, in fact or concept? Shooting began in April, 2009 and continued for fourteen weeks. The resulting film is a road movie whose trail spans the remnants of the western frontier, exploring both the landscape and culture along the way.